How do you get your dog to stop jumping on you? I’ve tried ignoring the jumping, telling him no jumping, making him sit when he jumps. We still tell him no jumping probably 80% of the time. We ignored the jumping constantly for about 5 days… he got more persistent when we ignored it and would end up knocking people over… he’s a big dog. And I still make him sit when he jumps probably half the time. When he’s done sitting he just jumps then. This is a very common problem! We’re going to break down some of the different elements of your question. First, dogs jump when they are excited and want attention. Dogs that are still jumping on people have learned that this is an excellent way to get the humans to pay attention to them. When you tell your dog “no jumping” and maybe even push him off of you…you are accidentally rewarding the very behavior you don’t want! If we think about it from the dog’s perspective….”Humans are ignoring me. They aren’t even looking at me! Let’s jump on them and see what happens.” Then, 80% of the time, you give him attention. He doesn’t care that you’re saying “No jumping.” All he knows is that he didn’t have your attention before…and he has it now. The jumping worked. The very best thing to do is to ignore jumping. Turn into a statue. Don’t look at the dog, don’t touch the dog, and don’t speak to the dog. Once all four paws are on the ground, you reanimate and suddenly you can see the dog again. This sends a powerful message that jumping causes the opposite reaction that the dog wants. Now, I know you mention you tried this and his jumping got worse. There’s a trainer lingo term for that! It’s called an extension burst. Right before the behavior gets better, it gets way, way worse. The reason for this is that the dog is used to being rewarded for jumping on you. Then, you stop. So he tries harder. Because it used to work. He’s thinking, “What the heck is wrong with mom?! Maybe she didn’t see me. Let’s jump again.” You have to power through the extension burst until the dog realizes, “Dang. This isn’t working anymore. I better try something different!” Then, that’s your opportunity to reward the dog. Here is an example of what happens with an extinction burst. The number of days is just an example. Not all behavior goes extinct after 19 days. It depends on the dog and how long the dog has been doing the behavior throughout their life. Lastly, you mention that when he does sit and gets rewarded, he just jumps on you after that. He is likely just trying to keep the game going to continue getting your attention. You might want to try throwing a treat behind him as his reward so when he gets up from the sit, he is doing something other than jumping on you. This is also your chance to walk away. If he jumps on you, then you ignore it. No asking for a sit. No telling him “no.” He does not exist to you when he’s behaving like that. Behavior that is rewarded sometimes is the very hardest behavior to get rid of. That’s why slot machines work so well! We get rewarded sometimes and so it keeps us there, waiting for that next chance to win. This can come in handy for behaviors we want (sit, down, etc) but can be detrimental to behaviors that we’re trying to get rid of! I hope this helps and please keep me updated on your progress! 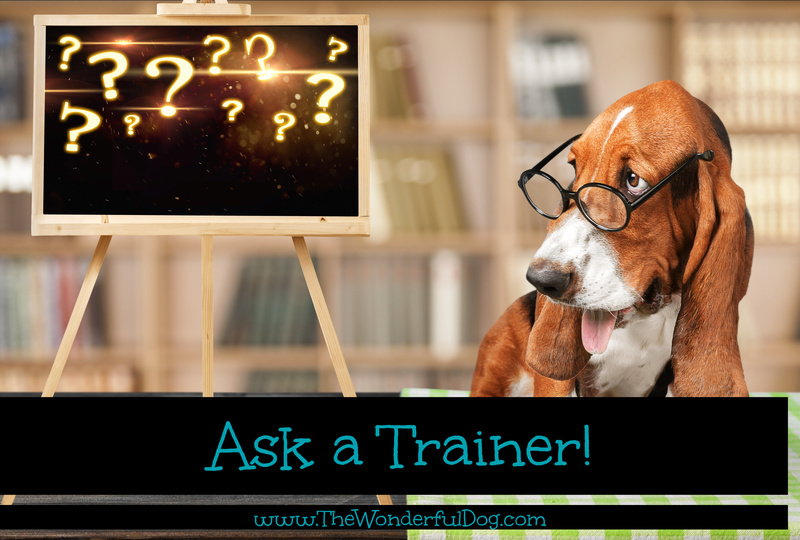 ← Ask a Trainer: How Can I get my Dog to do his Business in the Backyard?